Why does the website appear out of date on some computers ? This can happen on those rare occasions when the Mirror Class Association change the company hosting the website, and if the old IP address of the website is stored in the Domain Name System (DNS) resolver cache on your computer. The last time the hosting company was changed was early November 2011. Prior to this the IP of the host had been 216.246.53.151. Since then the IP of the host has been 88.208.252.193 . A change in IP address of this nature should be propogated worldwide in 72 hours. To solve this problem you need to clear the DNS resolver cache on your computer by following the instructions here. How do I login to the website ? To login to the website you need your account details which will be e-mailed to you when you become a member of the UK Mirror Class Association. You then go to any page (this one will do) and look on the left hand side under the menu. You will see a box with "Username" above it. You type your Username into this box. Usernames on this website take the form "firstname.surname", everything is lower case, there are no spaces and the dot between the names is important. Then you type your password into the box with "Password" above it. Be careful to type the password correctly. If you know how to use the paste buffer, better still, select the password in the e-mail, copy it into the paste buffer with CTRL/C and then paste it into the "Password" box with CTRL/V. It's a good idea to click in the "Remember Me" box, so a tick appears. This means if you navigate away from the Mirror website, when you come back, you will still be logged in. Then press the "Login" button. The page will update, the "Username" and "Password" boxes will disappear and be replaced by a message "Hi Firstname Secondname,". The "login" button will be replaced by a "Log out" button. You are now logged into the website. At this point your browser may ask you if you want it to remember your Mirror website Username and Password for you. Other parts of the site should operate as before. When you go to the Forums, you will find you can now post replies to topics or start new ones. When you have finished using the Mirror website, it is a good idea to logout by pressing the "Log out" button which is on every page on the left hand side under the menu. Why has my Favorite for the Mirror Class Assocation site stopped working ? These favorites were created during a period when a previous webmaster (Peter Sedgewick) had the site hosted under the domain name ukmirrorsailing.cz.cc and the correct domain name www.ukmirrorsailing.com was being redirected to ukmirrorsailing.cz.cc. Subsequently the website was moved to the www.ukmirrorsailing.com domain. The ukmirrorsailing.cz.cc domain name was not retained so now no longer works or is being used for general advertising. Open your browser (Firefox, or Internet Explorer, or Chrome, or whatever) and put the address http://www.ukmirrorsailing.com in the address box, or Google it and follow the link. 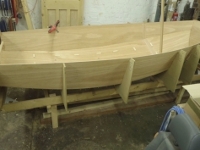 Either way they should be able to get to the Mirror site http://www.ukmirrorsailing.com. Click "Home" on the menu, just to make sure they are on the home page. They should then save it to their favorites in the normal way. They should now have two favorites for the Mirror site - one with a proper Mirror "M" logo (this is the new one which works), one with a logo of a pink circle with "CZ" in it as illustrated above (this is the old one which does not work). They can get rid of the old favorite by moving their mouse over it so it changes colour, pressing the RIGHT mouse button and selecting "delete" from the little menu that appears. Select Favorites in the web browser, and move the mouse to the favorite so it changes colour, then press the RIGHT mouse button. A menu should appear, one option on the menu is called "properties". Select that and you will get a little window appear with two tabs. In the "Web Document" tab there is a field called "URL" with the address http://ukmirrorsailing.cz.cc/index.php . 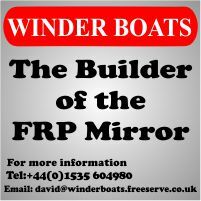 Change this to http://www.ukmirrorsailing.com and press OK. The favourite should now work (but will still have a logo which is the pink circle with "CZ" in it). I think option 1. is probably the easier for the layman, as it involves no typing, so no chance to type in the address incorrectly, and you get the Mirror "M" logo on your favourite. This is just a test page so that the webmaster can look at possibilities of improving the overall style of the site by using the Mirror Sailing Scotland (MSS) template. Don't be surprised if this page looks quite different to other pages on the site.